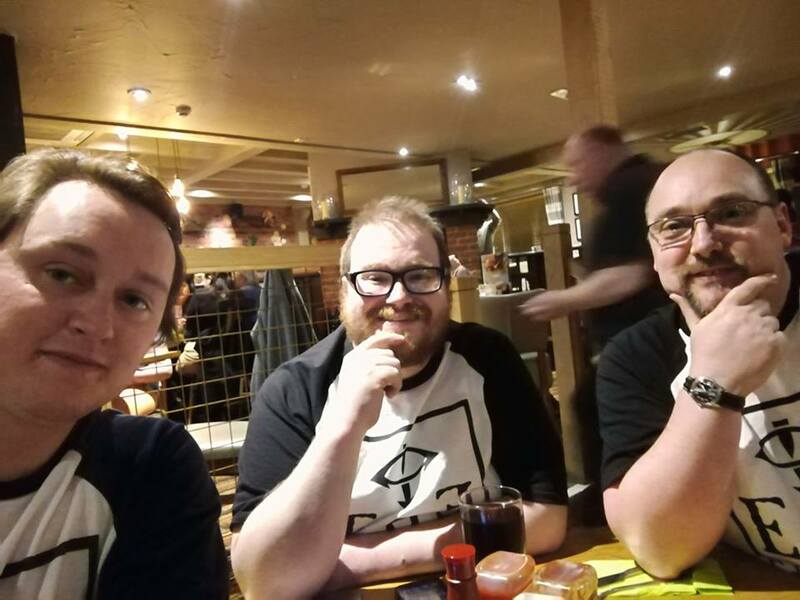 We are Chris, Graham and Michael, and together we host Edge of Empire; a monthly podcast delving into the world of the Horus Heresy through games, models, tactics, and books. We also host a shorter, more regular podcast, The Dreadclaw. Our aim, through our two podcasts and beyond, is to help grow and develop 'the hobby', particularly in the North East of England. We organise events, most prominently twice a year running the residential gaming event; Company of Legends. Thank you for showing an interest in helping to support your favourite (we hope) podcast, and we have been asked about how people can contribute to the show, so we decided to set up a little tip jar, and here it is. So What Would We Do With Your Money? First and foremost, we would cover the monthly costs of running the podcast, some of that goes to Podbean for hosting the podcast itself and the rest goes to Go Daddy for web hosting. If we can cover that, the podcast will become self financing, which would be fantastic. Any money raised above that will be used to help us to attend some more events in a journalistic capacity, such as Warhammer Fest, Forge World Open Days, Horus Heresy Weekenders etc, so we can bring you the best information we can. We aren't doing this show for the money or any kind of reward, we do it simply because we genuinely love the game and background of the Horus Heresy. As such, this wouldn't be paying us but would be more like a tip jar. each episode takes some tender loving care, and a lot of hours. Your support makes 2am editing sessions that much easier. No matter what, the show will continue to be free, and whether you decide to support us monetarily or not, we thank you. Listening to the show is, and always will be, the biggest show of support you could give. Tip your bartenders, Tip your wait staff, and if you love what we do, throw a couple of bucks in the tip jar for your favourite Heresy podcast! Every dollar counts, and we love you for it! If we were able to reach this goal it would cover the monthly hosting costs for the podcast on Podbean and for our website. Basically it would mean the podcast becomes self financing.